The Commonwealth Transportation Board will hold nine public meetings across the commonwealth from August through October on various transportation initiatives, including proposed changes to Virginia’s project prioritization process (known as SMART SCALE), recently funded projects in the Six-Year Improvement Program, Virginia’s Statewide Transportation Improvement Program, VTrans Multimodal Transportation Plan, scenario planning, freight plans, and planning for round three of SMART SCALE. The public is invited to get the latest information, ask questions and provide input on various transportation initiatives. This year’s meetings will consist of an open house where representatives from the Office of Intermodal Planning and Investment, Departments of Transportation and Rail and Public Transportation, along with Metropolitan Planning Organizations, Planning District Commissions, and Transit organizations will be in attendance to highlight their transportation programs and to discuss attendees’ ideas and concerns on Virginia’s transportation network. Following the open house, a town hall session will engage public and transportation stakeholders in discussion and provide an opportunity to ask questions about Virginia’s transportation projects and programs. Comments will be accepted informally at the meeting and may also be submitted via email to Six-YearProgram@VDOT.Virginia.gov (for highways) or DRPTPR@drpt.Virginia.gov (for rail and public transportation), or online at www.ctb.virginia.gov/planning/fallmeetings. Signed into law by Gov. 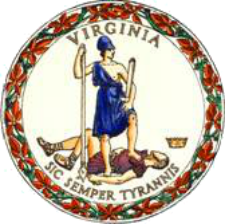 Terry McAuliffe, SMART SCALE (formerly known as House Bill 2) is an objective and data-driven “prioritization” process to score projects according to critical transportation needs. Round two of SMART SCALE was concluded in June, when the CTB approved 147 projects for funding for a total of $1.02 billion in SMART SCALE funds. The CTB is now considering some changes to the SMART SCALE process and is requesting public input and feedback on proposed changes. Following public meetings, in October the CTB will vote on changes to the SMART SCALE process that will be implemented in advance of round three. The proposed changes are available for review at smartscale.org/resources .